The development group, led by Robert Suris, secured the loan from Arkansas-based Centennial Bank and Miami-based LV Lending for its project at 6290 and 6320 Southwest 8th Street. 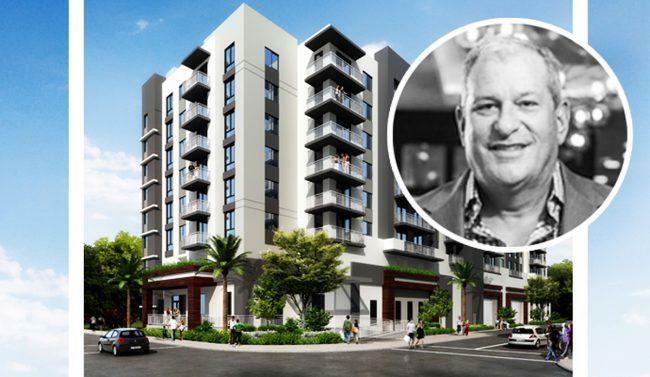 Estate Investments Group has been an active developer in the city of West Miami and now has two projects under construction there, including Soleste Almeda. Its newest project will encompass two mid-rise towers with studios, one- and two-bedroom units. Sizes will range from 450 square feet to 900 square feet, with rents averaging $1,600 per month. The project is expected to be completed in early 2020. In October, the developer secured a $34 million construction loan for its 200-unit Soleste Bay Village in Palmetto Bay. Suris said the site could be sold to an investor seeking to benefit from the federal Opportunity Zone program, which gives developers and investors big tax advantages for investing in certain areas throughout the country. In July, the group secured a $57.8 million construction loan for 338-unit Soleste Twenty2 at 2201 Ludlam Road in West Miami. EIG has four additional Soleste-branded properties either built or planned in South Florida. These include the 330-unit Soleste Blue Lagoon, the 350-unit Soleste Grand Central and the 99-unit Soleste Park View and the 251-unit Soleste Uptown. EIG has completed and sold over $200 million in residential real estate assets in the past two years, according to a press release.